Delaware Mobile Homes Pot Nets Coveside is located on the Rehoboth bay. 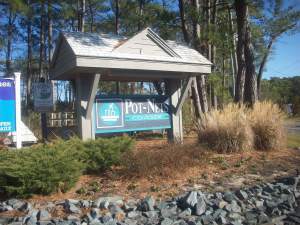 Pot-Nets Coveside, is featured as one of the six communities within Pot-Nets Community. Located on the waterfront of Rehoboth Bay and Dewey Beach, this community lies on 170 acres of land, with 256 homes. This community lies on the edge of the bay, giving you beautiful waterfront views. The homes range from below $10,000 and up to $200,000, which is a very affordable price for such gorgeous homes. You can participate in numerous activities and amenities such as swimming beaches, marinas, boat ramps, pools, golf cart paths to drive and ride on, nature trails and much more! Pot-Nets Coveside is located within the Pot-Nets community, meaning you are only steps (or a swim) away from all of the action that goes on daily. There are also shopping malls and grocery stores located only minutes from this home community, so you are never too far from where you need to be. Pot-Nets Coveside is a great community for all ages, and the whole family can enjoy living here, enjoying the water and all of the activities offered within the whole community. This long stretch of six tight knit, Pot-Nets communities are located off of Long Neck, Delaware peninsula and offers boat docks and parking for your boats, as well as a driveway of course, on land for your car. There are so many features that Pot-Nets offers, within each community and each community combined. Pot-Nets Coveside and Dockside was built in the 70’s, after Bayside was built, so some of the area is a little newer than the rest of the community. This homeland is definitely built for those who love fishing and boating, but also for those who love scenic views and breathtaking moments. This community has over 20 marinas, docks, boardwalks, playgrounds, boating activities, and much more for the entire family, making this community kid friendly and adult friendly as well. Pot-Nets Coveside and Dockside was built with a unique yet relaxing idea of a home community in mind, and that is what they achieved. This is a highly recommended mobile home park, and one of the most reputable on the East Coast. There’s never a dull moment, and it is one of the most resourceful places on the East Coast due to being in the middle of the bay, the fishing and other profitable resources. Pot-Nets Coveside is an affordable yet gorgeous, fancy place to live for the whole family.